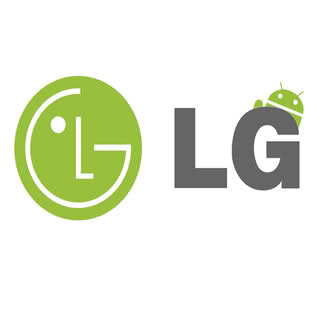 With Google having confirmed LG as a major device partner for Google TV, the consumer electronics giant has revealed further details of the product it will be showcasing at CES in Las Vegas. LG says the forthcoming LG Smart TV with Google TV combines the familiarity of Google’s Android OS with the convenience and comfort of LG’s 3D and Smart TV technologies, offering consumers a new and attractive home entertainment option. LG says the LG Google TV’s most attractive feature is its ease of use, thanks to the combination of its Android-based user interface and the Magic Remote Qwerty designed by LG. LG Google TV’s user interface and main screen have been designed for convenient browsing and content selection. Multi-tasking is also possible, as the search, social networking and TV functions can be run simultaneously. The user interface can be accessed using the Magic Remote Qwerty which combines the user-friendly benefits of LG’s Magic Remote with a QWERTY keyboard. Equipped with LG’s own CINEMA 3D technology, LG Google TV provides a home entertainment experience that is immersive, comfortable and convenient, says the company. Based on LG’s own Film Patterned Retarder (FPR) technology, CINEMA 3D glasses are battery-free and lightweight. “The glasses are also very affordable, making LG’s Google TV ideal for viewing by a large group of family and friends when used in 3D mode. And with a single click of the remote, any 2D content can be viewed in 3D, thanks to the built-in 2D to 3D conversion engine,” notes LG. LG confirmed that alongside Google TV, the company will continue to advance its own Smart TV platform based on NetCast using open web technology such as Webkit browser and Linux. LG Smart TV with NetCast will be available globally in 85 plus countries at launch. LG Smart TV with Google TV will be available in two series at launch in the US in 2012. The first demonstration of LG’s Google TV will take place at CES, January 10-13.